Do you ever have time in your life where different experiences seem to converge and create either a need or a solution? I have experienced this over the past few days and thought I would turn it into a blog post in case it could help others. Recently, I posted what turned out to be a very popular post on how to host your own blog images without using a third party host. The blog post got a large number of views, and I got several DMs, text messages, and Voxes thanking me and asking for more help with blog images. At the end of the school year, I asked if there were any teachers who would like to join a different sort of PLC for the 2017-18 school year, called the Innovative Teaching and Learning PLC (ITLPLC for short.) We have been doing a book study on Voxer this summer of George Couros' book The Innovator's Mindset (which has been awesome!) In Chapter 11, George asks the following Quesiton for Discussion: How are you actively sharing your learning with your school and global community? Several of the teachers in the Voxer group stated that they wanted to be more reflective and wanted to share their learning to a greater capacity. They also shared that they were afraid that they didn't have time to blog. Two different people who follow me on twitter have asked for consulting help with their blogs. They are at two different places with their blogging journey (as we all are), where one is just starting and one is at a standstill and wants help staying on track and committed. These events lead me to this blog post. 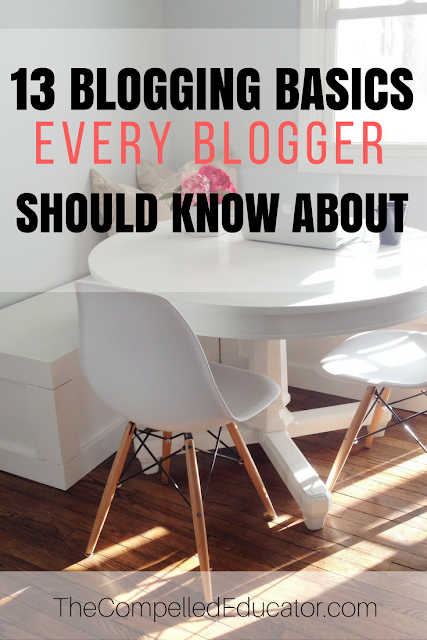 I wanted to share some Blogging Basics. There is no magic sauce. Other people may have different ideas. Here's what I've found has worked in my 8 years of blogging. 1. Don't compare your blog or your journey to anyone else out there. You and your story are unique and should be shared and not compared. 2. Make time to learn each day. While you will be blogging about things that you are passionate about and are knowledgeable about, the technical side of blogging will require you to Do the Work and learn something new almost each and every day. You will be uncomfortable, it will take time, and it will be rewarding. 3. Blog regularly. Whether it's once a week or several times a week, your readers will want to see regular posts from you. 4. Forgive yourself when you don't post. It happens to most bloggers, and it will probably happen to you. Give yourself permission to take a break, but make sure the "breaks" don't happen too frequently. 5. Put your social profile links on your blog. Either use social media buttons or post your links on a Contact or About Me page. 6. Learn how to schedule posts ahead of time. You can write several posts at once and schedule them to go out at specific times. 7. Use an online photo editor like Canva or Picmonkey to create graphics for your blog. Take your own photos or use free stock images to create eye-catching graphics. Use at least one image per blog post. 8. Actively engage on twitter. Share links to your blog posts; include graphics from your post or that are relative to your post. 9. Have an About Me page and a Contact page. 10. Include links to previous posts in your blog posts. 11. Leave comments on other people's blog posts and respond to each comment left on your blog. 12. Use white space and readable typeface. Readers want to get through content fast. Try chunking content and leave a blank line between paragraphs. Make sure your fonts aren't too curly or hard to read. Avoid cluttered backgrounds and designs so that the readers' eyes can focus on the important part of your blog - your content. 13. Keep a blog idea list. This can be done indifferent apps on your computer or phone or it can be as simple as written in a notebook or planner. Do whatever works best for you. Sometimes I start blog posts with titles only and keep them in draft mode until I can go back and expand on the topic. Pin this image so that you can refer to this post later. Excellent list of suggestions! I especially like #4 (Forgive Yourself) as that sometimes becomes a hurdle to overcome when life interrupts your blogging rhythm. Thanks for taking the time to compile these tips and share out! I'm always inspired by your writing! Thanks for reading and commenting, Tamara! Over the years, I have learned the lesson the hard way, and it goes hand in hand with #1. Most recently, I've had several life events that have curtailed my blogging, and I've had to remember that balance means different seasons have different priorities. Thanks again! Oh these are good tips! I love LOVE to blog but my time is not my own these days. I genuinely try and have tons of ideas on my list! Thanks for sharing! Thanks so much for your bonus blogging basics. I am trying to get started and needed an additional PUSH.The content/ideas is not the problem, it's that all time constant being - Time!Thanks for this awesome eye opener! This is a wonderful post, Jennifer! I'm immediately reminded and inspired to update my list of ideas. Thank you! Thanks for reading and commenting, Steve! Glad you found it helpful! Janice, so glad you were able to get a few tips as well as affirmation for what you're already doing! Keep blogging! I would add, make sure every link you include on your blog opens another window or tab. This way, your readers can easily navigate back and continue reading the original blog and don't get "lost" on embedded links. To do this on Blogger make sure to check off "Open this link in a new window" or look for the option of the target, new window or new tab. Another suggestion, not flooding your Social Media feeds with all your own content, graphics, sayings, hashtags, and promotions. When people land on your blog or Social Media feeds it should not be all about "you, you, you." 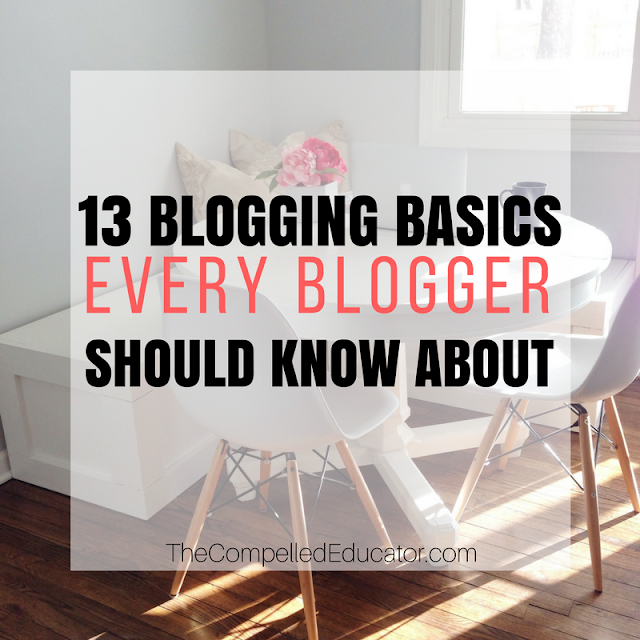 Definitely agree with #11 Pay it forward, leave comments on other people's blogs, share other people's content, give encouragement liberally and self promote sparingly. I try to make sure I never go to sleep with a Tweet or a share that's about my own content - feels like good karma! Gwyneth, I'm so humbled that you read and commented on my blog post. Thank you for sharing your thoughts! I'm a huge proponent for making sure that links open in new windows, and I realized I had not double-checked this blog post. Thank you for the great reminder! Love the idea of making sure your last tweet or share of the day is about someone else. Karma is real. Great list Jennifer. Helping others with their journey is such an interesting challenge. In response, you forced me to reflect on what I myself would consider as the 'basics'. I have recorded my thoughts here (https://readwriterespond.com/2017/07/back-to-blogging-basics/). Thanks for the thoughtful post. I hope to get back into writing soon. Your inspiration will get me there sooner or later. Enjoy the summer!!! Thanks for stopping by, Keith. I'm looking forward to when you do get back to blogging - I'm always inspired by your writing!